Recently, our design team visited Autodesk’s Advanced Manufacturing Facility in Birmingham to take part in a generative design workshop. It was an event arranged by Autodesk to demonstrate the capabilities of their generative design software and offering a hands-on opportunity to explore the software’s functionality. Generative design is a process for creating a wide range of design concepts using an algorithm that can generate a range of forms that fulfil specific parameters. The process begins by the design engineer inputting the required constraints; such as load, material and manufacturing methods. The system can then generate a wide range of possible solutions to the problem that will meet all the parameters and relay them to the user. The design engineer can look through all the outcomes and compare the data and forms of each design, before deciding which concept to develop further. This process usually creates interesting and complex forms that mimics shapes found in nature. The generative design process can sound similar to topology optimisation; however, the two processes are different. Topology optimisation requires an existing part, the design engineer then specifies constraints and loads. The system shows where any un-needed material is, which can then be removed. 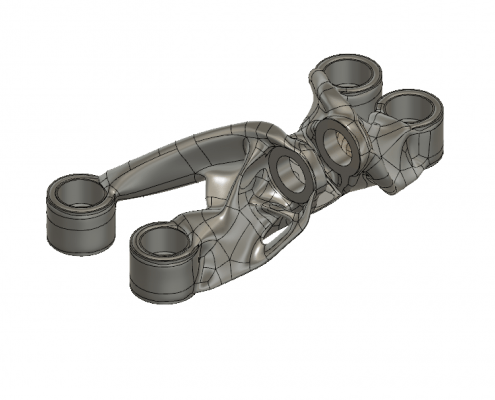 With generative design, the design engineer specifies the problem, constraints and loads, and the system produces a variety of parts that can solve the problem. 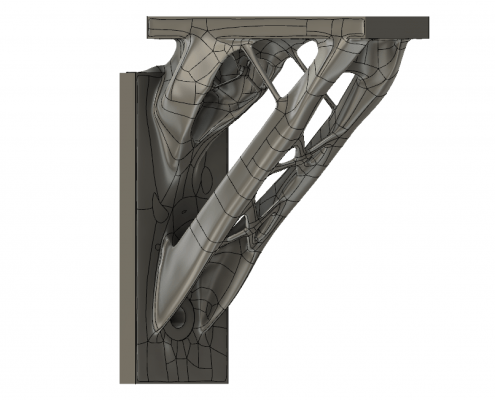 What are the benefits of using generative design? 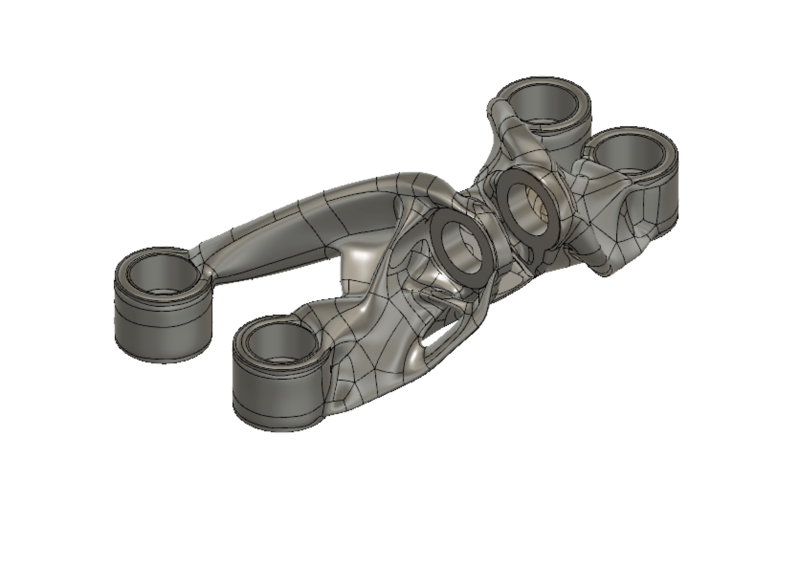 Generative design can allow a design engineer to explore a huge variety of design concepts very quickly, with data to be sure that each solution will work. This can help to reduce the development time and cost of a part and help the design team to reach a solution as quickly as possible. 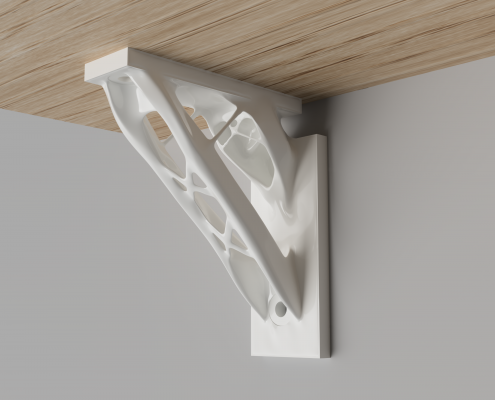 Generative design can also create forms that may never have been considered by the design engineer and find unique and innovative solutions to problems. This technology has a range of use-cases; however, it is probably best suited to automotive, aerospace and industrial applications. This is because of the complexity of the parts and related difficulties of manufacture. Most of these parts need to be produced using processes such as additive manufacturing (AM) or CNC milling, which are well suited for batch manufacture. 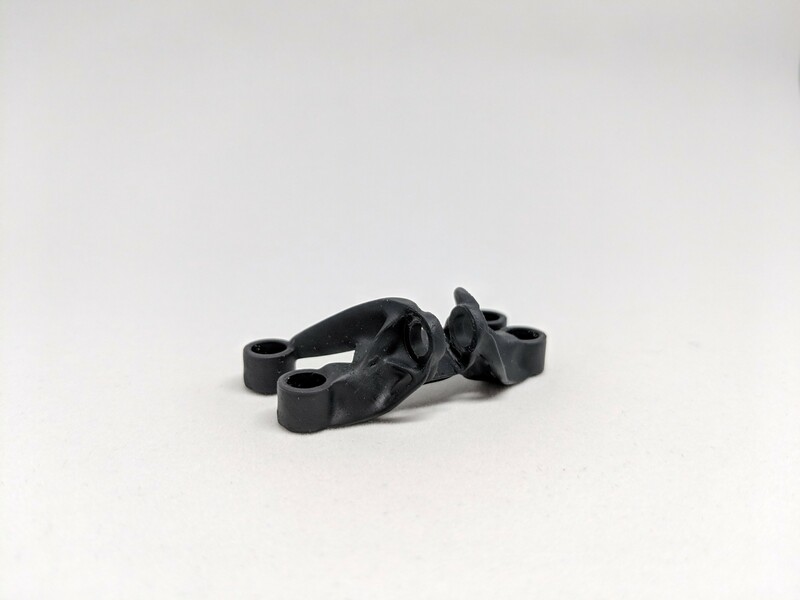 As AM develops, we are likely to see this process become more widely used as a method of manufacture and therefore, its likely that generative design tools may become more applicable in different markets. As part of the workshop, we had the opportunity to use the software and create our own generatively designed parts. The first project was based on a brief created by GE for a GrabCAD competition in 2013. GE released a bracket from a jet engine that they wanted to redesign so that it could be produced using AM in order to reduce weight. 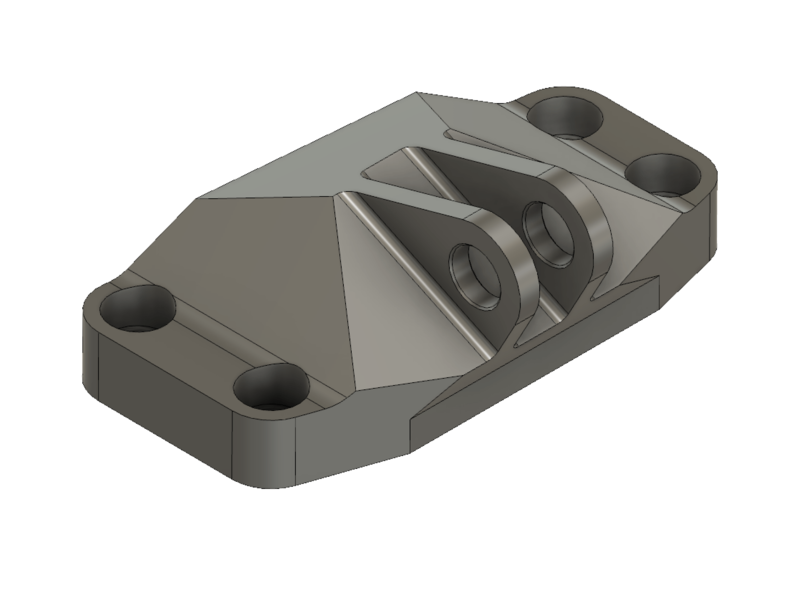 We took the key dimensions from the brief and created CAD model that outlined the parameters of the bracket. We then imported that into the generative software and specified all of the forces that the part will undertake and specified the fixed points, the forces, the manufacturing method and the material that the will be used. We then ran the program and waited. We were given 16 different solutions to the problem, all of which were manufacturable and displayed all the required data including the mass of the part and the factor of safety. We explored which part would be the most suitable for our application and exported it. The form of the bracket looked very organic and fluid and completely different to the original part. It would have been extremely difficult to create a part like this without using generative design and would likely be very time-consuming. 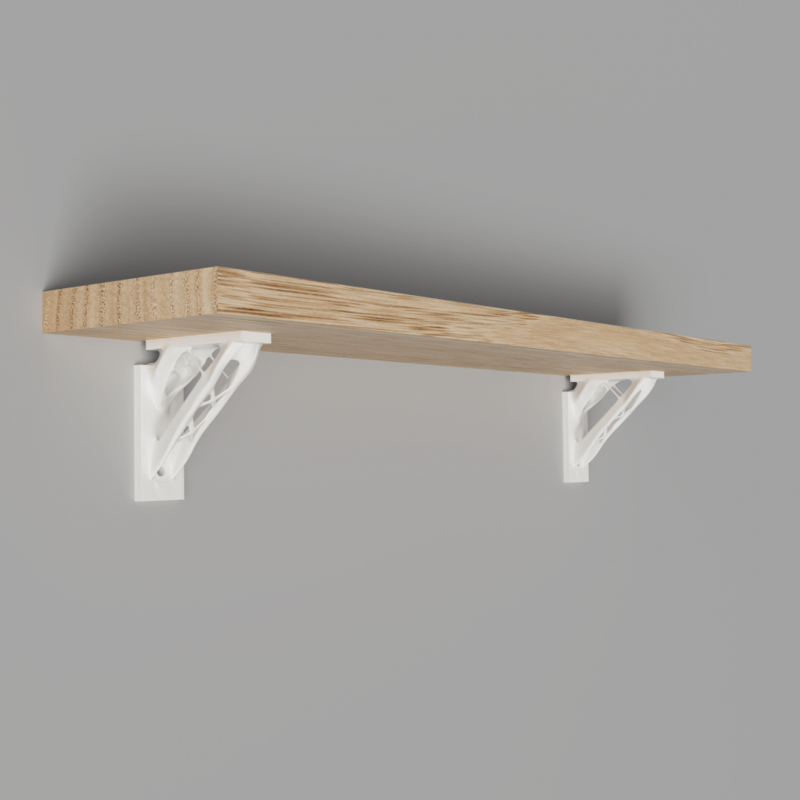 The second case study was a bracket that could hold up a shelf. We went through the same process as outlined above and the outcome was an extremely interesting and organic structure. The generative design software created 24 separate solutions for this part that we were able to go through and decide which best fitted our application. We decided on the concept that you can see below. As with the other case study, we didn’t want to just finish there, so we decided to create some render images of how the part could look in context. We used Fusion 360’s rendering capabilities to create a range of images that show what the part may look like if we manufactured it. 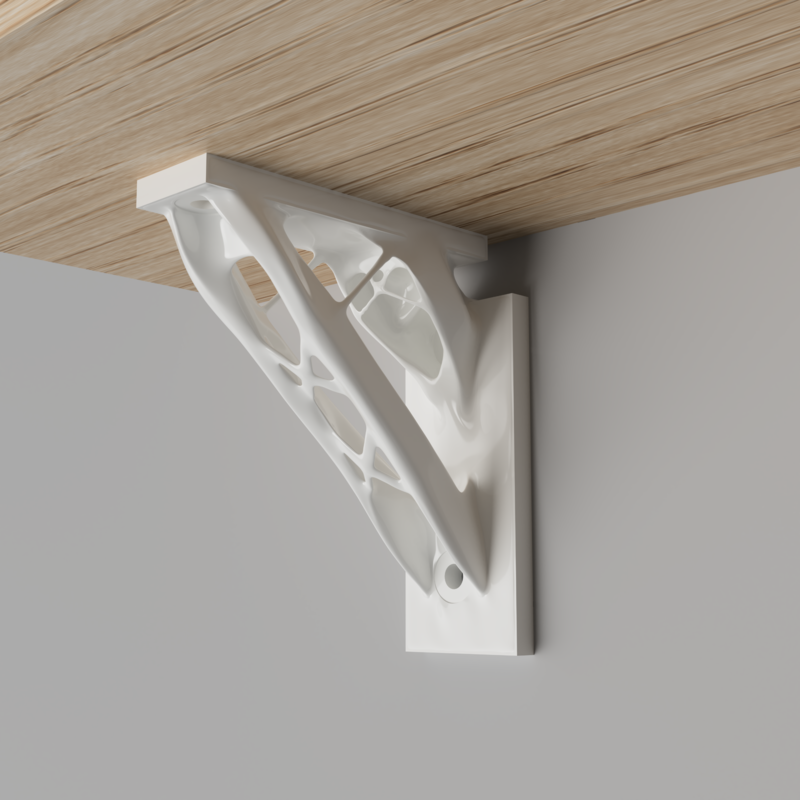 Generative design has huge potential to change the workflow of a design engineer and we are really excited to see how the technology develops and what applications it could be used for. 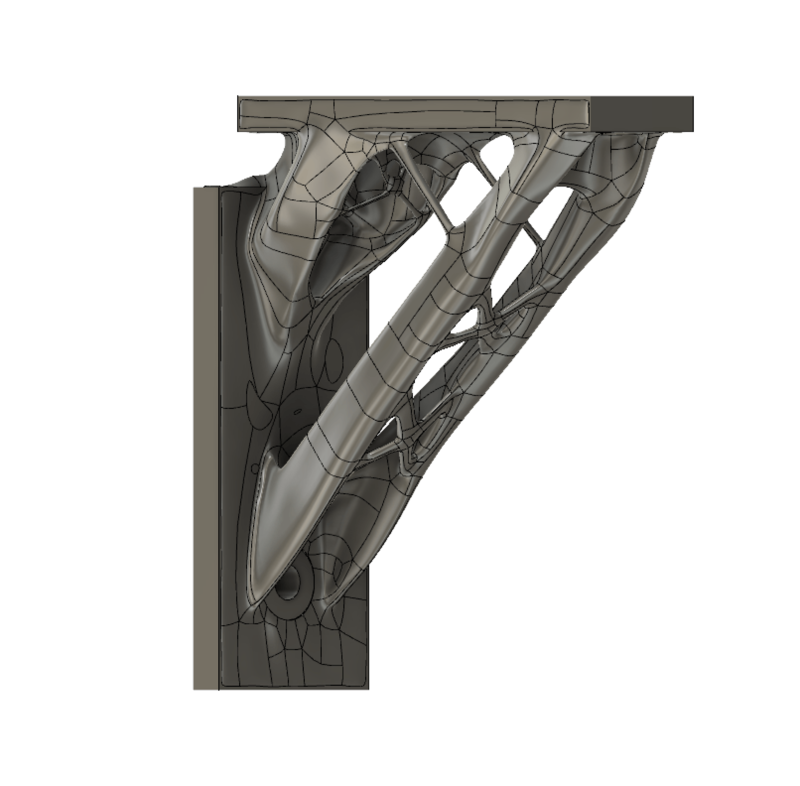 It requires thinking completely differently when approaching a problem, but it allows for the creations of unique and organic structures that would be almost unachievable with traditional modelling methods. We would like to thank Autodesk for hosting us and allowing us to learn about this exciting technology and we’re excited to use it more in future.